A sofa is one of the most important pieces of furniture in your home. In most homes, the sofa is the piece of furniture used most often by the people that live in the house and by guests. Everyone sits on the sofa to watch TV or to spend time together. Plus, it’s usually the first place that you plop down after a long day at work. 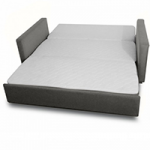 Depending on the type of sofa you buy, you can also use it for accommodating overnight guests. And, of course, the design of your sofa will have a big impact on your home’s décor. Above all, your sofa should be versatile. It should be designed to serve many different purposes and to be used in any room in which you may need it. A good sofa should last you many years, so you want to make sure you have one that will be with you for the long haul. Expand Furniture sells many types of versatile sofas, such as sofa beds, Murphy sofas, and sofa wall beds. Even basic sofa beds can make a big impact. They allow you to give guests a comfortable place to sleep without having to take up more room with a bed that goes unused most of the time. 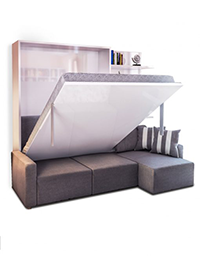 Sofa wall beds, which can include Murphy sofas, use the same concept except the bed is stowed in a cabinet against the wall instead of under the couch seat. The bed lowers right over the sofa, so you don’t even have to move it. All of these sofas have a versatility that allows you to get more out of them. A couch is a big piece of furniture. It may not seem to take up as much space as a mattress or a dining room table, but it is big, and it is important that you know the dimensions your space can accommodate before you go shopping. Know exactly where you want to put your couch in the room, and then measure that space. Measure width and depth. Then measure the doorway, hallway, and any other openings through which you will have to pass to get the sofa in your house. Take your measurements carefully and then take them again. Even a small error could result in you buying a couch that doesn’t fit your space – or won’t even fit inside your house. Trendy design is going to be modern and in fashion. So you might be tempted to get it. But will you really want that abstract sofa 10 years from now when it looks like an oddity and is uncomfortable to boot? It is best to stick with simple designs that are fashionable yet won’t look dated in a few years. 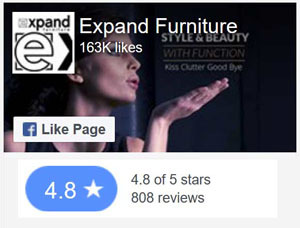 Again, Expand Furniture offers some great choices here. The sofa beds and Murphy sofas all have sleek designs that are perfect for modern homes but that are simple enough that they will look good in any décor scheme. Our sofas would have looked as good in a 1950s’ home as they do in today’s homes. 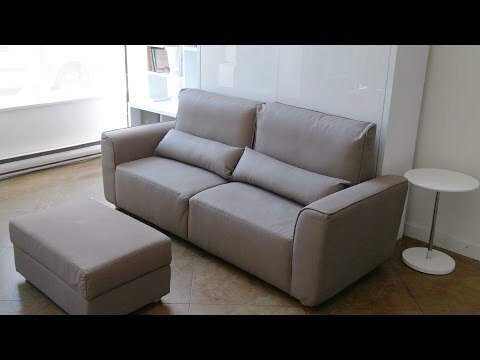 The sofas are somewhat customizable in that you have your choice of fabrics and accessories, such as sofa wall beds that come with a floating desk or shelves. We all want to save as much money as we can, but sometimes you pinch pennies and end up costing yourself more money later. A cheap sofa will break down over time. The fabric will tear or become worn, the cushions will become thin, and the seats will sag. You need to invest in a quality couch that may cost you a little more up front but that will last for many more years and will provide consistent performance over the years. 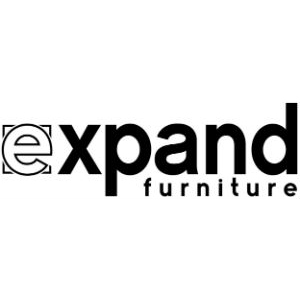 The space saving sofa beds and sofa wall beds at Expand Furniture are some of the highest quality sofas on the market. They are made with the best materials and with the best craftsmanship. Our sofas also come with a product warranty and a satisfaction guarantee. Don’t make these mistakes when you are shopping for a sofa. Take your measurements and then choose a sofa that is versatile, stylish but not trendy, and high quality. You’ll end up with a sofa you love that will last you for many years to come. 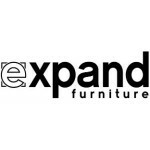 Browse the selection at Expand Furniture to find space saving sofa beds, sofa walls beds, or Murphy sofas that are right for your home. 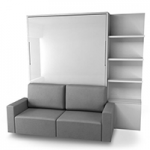 We also have other space saving furniture, such as modular wall shelving and transforming tables. Our goal is to give you the gorgeous furniture that will elevate your home décor while also helping you to make more out of your space. 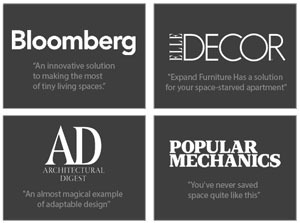 Contact us to learn more about our space saving funiture.